Well now, just when you think things are getting a tad . . . routine . . . around the house, things suddenly start getting interesting. Lots of interesting story lines leading to lots of interesting spoken lines this week. 1. If you've been reading here for a few days, you know that I'm trying to find the spectacular among the ordinary. 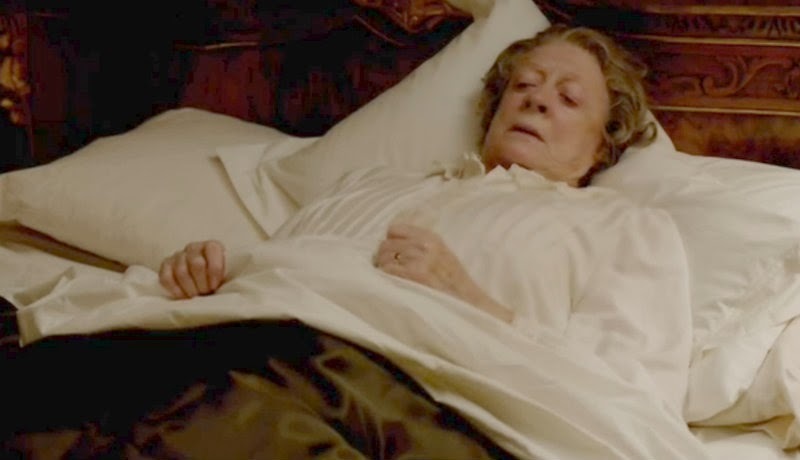 So I thought it was absolutely wonderful that a Downton character also found that what might be a fairly ordinary day could turn out to be an exciting adventure. Know who I'm talking about? Here is the line I loved from Thomas this week as he and Jimmy discuss his upcoming trip to America with Robert: "I woke up wondering what I'd be doing today, and I'll be off to New York by the end of it." See? Even Thomas knows that everyday adventures are right around the corner. 2. So Robert and Thomas quickly head off to America to save Cora's no good brother, Henry, but not before the entire household gives them a formal send-off. What is it about goodbyes over there? They make such a big deal about them. 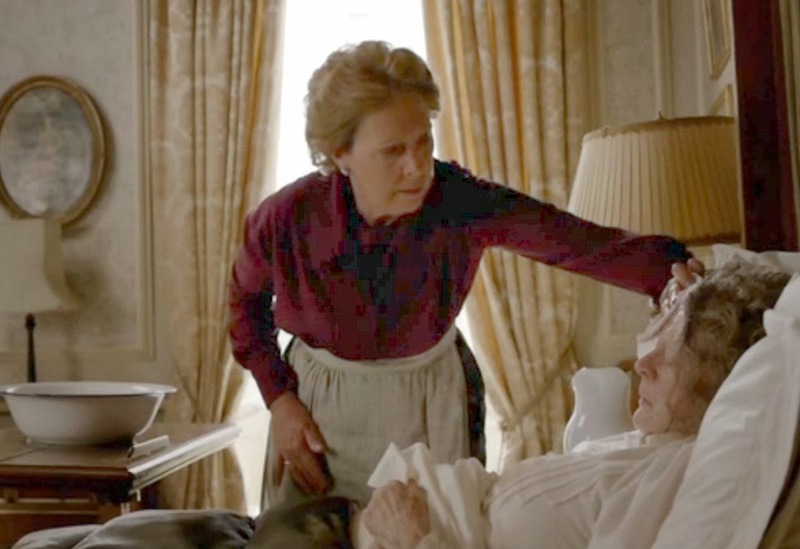 Anyway, dear Violet comes up to the big house to say goodbye to Robert, despite her impending illness. As soon as Robert drives away, Violet heaves a sigh of relief. But her response to her nemesis, Isobel, is what I really loved. Violet: Oh, that's a relief. Violet: I'm feeling rather ill. I wanted him away before I keel over. 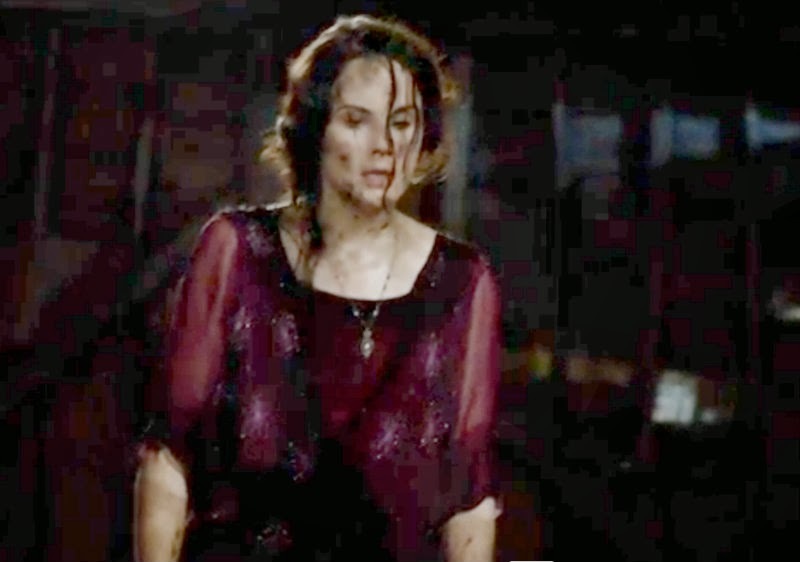 Isobel: Oh I'm sorry. Do you want me to come back with you? Violet: That is the very last thing I would want. How I wish I could deliver a line like that sometimes. 3. Poor Violet proceeds to get very ill. At one point I thought we were going to lose her--she looked so much like a corpse. But dear Isobel--dear, helpful, in-your-face Isobel--is ready to stand in as nursemaid for Violet who looks like she's going to meet her Maker any minute. All from bronchitis! So Violet spends much of this episode in a feverish stupor, not really knowing what's going on around her. At one point she seems to ask Dr. Clarkson for a new nurse, mumbling, "This one talks too much. She's like a drunken vicar." Classic. Even with a raging illness, Violet is still my girl! 4. I thought Mary had a great night this week. She was delivering great lines right and left. To Mrs. Hughes: "Mrs. Hughes, I hope we are good employers, but even we expect to get what we pay for." To her father, after commenting on Thomas's sexual preferences: "I've been married; I know everything." 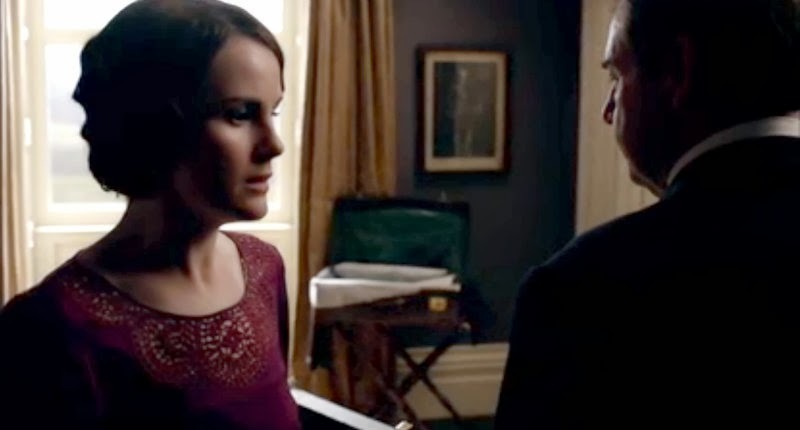 And to Bates after he found out that Mary knew about Anna: "It's not your fault, Bates. It wasn't hers, but it wasn't yours." And, speaking of Anna, how about the exchange between Mary and Anna in the bedroom? Mary: I'm not aloof, am I? Anna: Would you like me to answer that truthfully or as a Lady's maid? Mary: Let's move on, shall we? I simply cannot leave this section about Mary without posting a picture of her in the pigsty. Oh my word! They must have had so much fun filming this scene, but all I kept thinking was that the servants were going to have their hands full trying to clean those clothes the next day. 5. You'll probably not be able to guess my favorite line this week. While I love the banter between Violet and Isobel, Mary's one-liners, and even Daisy's quips, this week my favorite line goes to Edith who very simply, very wisely, made a decision that will change everyone's lives forever. "This is a mistake. I'm very sorry to waste your time, but this was a mistake." Way to go, Edith. I can't wait to see you become a much stronger woman in episodes to come. So that's it. I've probably given you ten lines to think about this week. Bonus! Now tell me, what were your favorite lines from Episode 6?